1876—Milan, Italy. A relative unknown, Vittore Gianni, opens a small tailor shop in the heart of Italy's fashion capital. In short order, and with a bit of luck, Gianni becomes one of Italy's premier tailors, crafting garments for the likes of everyone from football teams to dignitaries, and from time-to-time, cycling legends like Alfredo Binda. Fast-forward to 1935—after nearly 60 years of tailoring, Gianni brings on a young protégé by the name of Armando Castelli. More interested in crafting cycling fashions than Gianni's suits, the two quickly became at odds, resulting in Castelli purchasing the company that very year. Around this time, cycling's brightest star, Fausto Coppi, selects Castelli as his personal tailor. 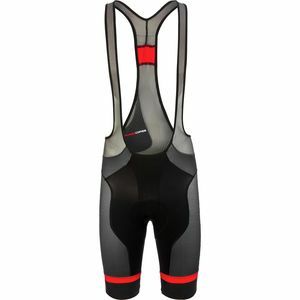 Not surprisingly, the rest of the cycling world follows suit, and Castelli is soon designing for Bartali as well. 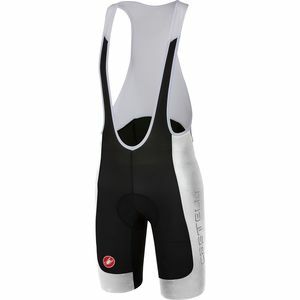 And with the momentum rising, Castelli begins sponsoring professional cycling teams. By the 1940s, legends like Louison Bobet, Rik Van Looy, and Jacques Anquetil are all outfitted by Castelli. But much like we see with today's Gabba jacket, cyclists then were wearing unbranded apparel on race day. Time presses on, and Castelli continues to thrive. In 1974, however, the story of today's version of Castelli begins to take shape. Armando's 26-year-old son, Maurizio, a retired cyclist, finds his father's traditional approach to cycling apparel to be stifling. Maurizio yearns to apply more creative approaches that bend the rules, and accordingly, create a better product. Unable to see eye-to-eye with his father, Maurizio breaks out on his own, forming the Castelli that we know today. Wasting no time, he creates the now-infamous Scorpion logo, which is widely thought to represent a mistress under the astrological sign of Scorpio, but the answer to this secret is under lock and key. Regardless, Maurizio quickly sets in motion a spirit of innovation, enough so, that by 1977, he's the first to manufacture cycling shorts from Lycra. 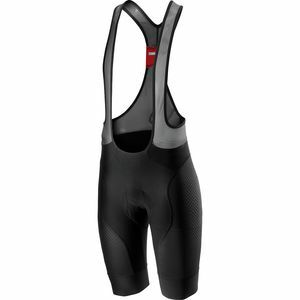 Needless to say, this achievement serves as the benchmark for today's cycling apparel. Building off of the success of his Lycra shorts, Maurizio continued to shatter the mold of cycling apparel. Castelli created a windproof vest for Hinault's campaign at Fleché Wallone. 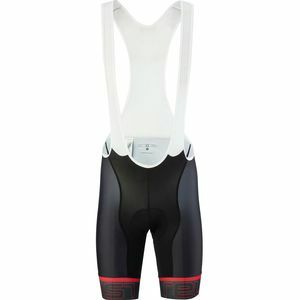 It was also the first cycling manufacturer to use sublimation, which ultimately helped grow the sport of cycling by placing sponsors' logos onto the jerseys, tights, and jackets of the riders. 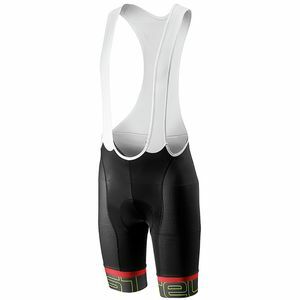 And furthering this, through a major act of defiance, Castelli was the first to outfit teams in colored shorts. At the time of the 1981 Giro, only black shorts were allowed, yet Maurizio made waves in the community by outfitting the Hoonved Bottechia team in Scorpion-clad turquoise shorts. Sadly, in 1995, Maurizio suffered a heart attack while ascending the legendary Milan-San Remo climb of the Cipressa. Though devastated, Castelli chose to rally around his philosophy of combining technology with innovative style and design, and in 1996, it worked with Paola Pezzo on creating the first women's cycling collection. Two years later, it introduced cycling's first wicking fabric treatment, Prosecco. And the next year saw Castelli's return to pro team sponsorship, leading to valuable rider input from ONCE, Team Brescialat, Refin Ceramiche, CSC-Tiscali, Saunier Duval, Cervelo Test Team, and today's Team Garmin Sharp. 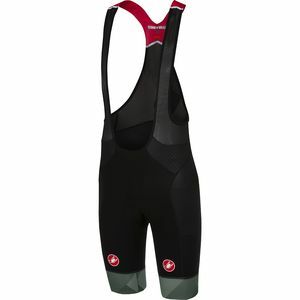 As a result of over 15 constant years of rider's feedback, Castelli has now crested the summit of Maurizio's dream by marrying aerodynamics with perfect fit and comfort. 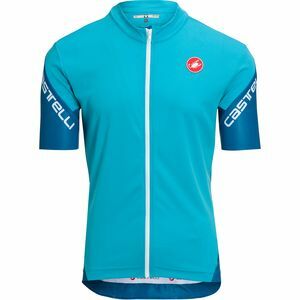 Pieces like the San Remo Speedsuit, Aero gloves, and Free Aero Race jersey all embody this ideology and act as the building blocks towards Castelli's future with roots placed securely in cycling's past.